On pp. 34*-35* of ECM Acts we find a table of Textual Changes, listing differences between ECM and NA28. This is followed by a list of passages with a split guiding line. Many of the textual changes are straightforward, but there is a grey area, signaled by the presence of two distinct lists rather than one. (1) The entry 2,33/43 says ECM -, NA28 [και]. This is a textual change. The text that is printed is different in the two editions, though the two are not miles apart. It is not that ECM has adopted a reading that was offered as an equal possibility in NA28, which mistakenly we might assume given the square brackets around και in NA28, but the omission of και is signaled in the text. It is good to remember that square brackets do not give a full alternative but rather 'reflect a great degree of difficulty in determining the text', and 'the reading given in the text shows the preference of the editors' (NA28, 54*). This change is slightly 'bigger' than the change in the next example. Both ECM and NA28 show the - identical - preference of the editors, though NA28 signals that its editors had a great degree of difficulty. There are no square brackets in the ECM, but do we have a split guiding line? Not here. The difficulty of the past was not large enough to result in a split reading in the present. Technically this is not a textual change. Still, even though there is no difference in the printed text, there is certainly a perceived difference in confidence. To me this looks like a change. A split guiding line means that the editors 'could not determine one variant which most likely represents the initial text' (ECM, 18*), which is close but not identical to the NA28 definition of the square brackets. The split guidance line is a material change to the text of NA28. Since the definitions of square brackets and split guiding line differ subtly, I think technically there is a change here too. The ECM split line signals that there is no reading that is 'most likely', whilst the bracketed [ου] still signals the preference of the editors of the NA28 for the printed reading. Of course, most of us would be tempted to read ECM and NA28 as telling us the same, but I do not think they do. Example (1) is found in the listing of textual changes in the ECM, example (2) is not listed in the print edition, and (3) and (4) are found in the listing of passages with a split guiding line. If you’re reading this blog, you’ve surely heard about the new Mark fragment which is now the earliest dated copy of this Gospel. You may also know there is some discussion about its publication and the claim that it was once up for sale. But, if you’re still wondering what all the hubbub is about, go read Elijah Hixson’s new article at Christianity Today. 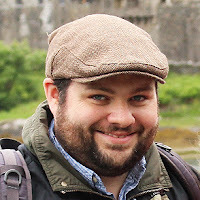 Elijah first broke the news that the fragment was being published here on this blog and he’s been closely tracking new developments ever since. 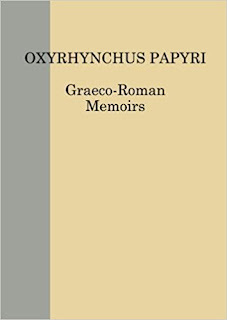 Many people—including Carroll himself—believed that the Greens had at some point purchased the manuscript until it appeared in an Oxyrhynchus volume. Obbink recently denied attempting to sell the manuscript to the Greens, according to Candida Moss and Joel Baden, writing for The Daily Beast. When I contacted Carroll and Obbink for statements, Carroll replied that he had nothing to add to or subtract from his story, and Obbink did not respond. This new publication is only the first word on the manuscript. There is surely much more to come. Manuscript dates are often disputed, though I expect the question will be whether P137 could be later, not whether it could be earlier. Multi-spectral imaging and digital image processing open new doors to deciphering and understanding manuscripts, and P137 might benefit from such types of analysis. Rather than disappointment that P137 is not quite as early as once thought, the publication of P137 is a cause to celebrate. We have another significant find, and it is the earliest manuscript of Mark 1! The excavations of Oxyrhynchus continue to yield valuable artifacts of antiquity including new biblical manuscripts after over a century of publishing. We can happily look forward to more unknown treasures yet to come. I would like to invite you to a free lecture on the Tyndale House Edition of the Greek New Testament by the lead editor of this recent publication, Dr. Dirk Jongkind. Wednesday, June 20th, 1pm (Eastern Standard Time), in the basement of the Southern Seminary library. 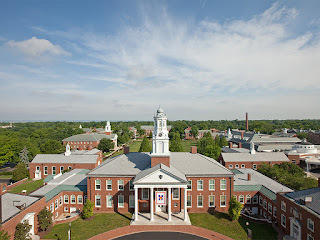 After Dr. Jongkind’s presentation and following discussion, I will be giving a private tour of the seminary archives. Some of the Greek treasures there include a 1522 Erasmus 3rd edition Greek New Testament and the original handwritten manuscripts of A.T. Robertson’s magisterial grammar. I hope you can join us! Since the early 18th century the approach to the textual criticism of the GNT has been dominated by a received set of ‘canons of textual criticism’. This set of guidelines determines the categories with which individual textual variants are discussed. A lot has happened over the last 300 years. One of the most important developments for textual criticism has been a growing appreciation of the actual way in which scribes copy a text. This notion, together with the wealth of manuscript material that is easily available, led scholars at Tyndale House to produce a new critical edition of the Greek New Testament. Regardless of how one thinks about the employed method, the project has provided a new impetus to be attentive to the detail of the Scriptures of the New Testament. Sound like fun. May I recommend Skyline Chili for lunch, Dirk? 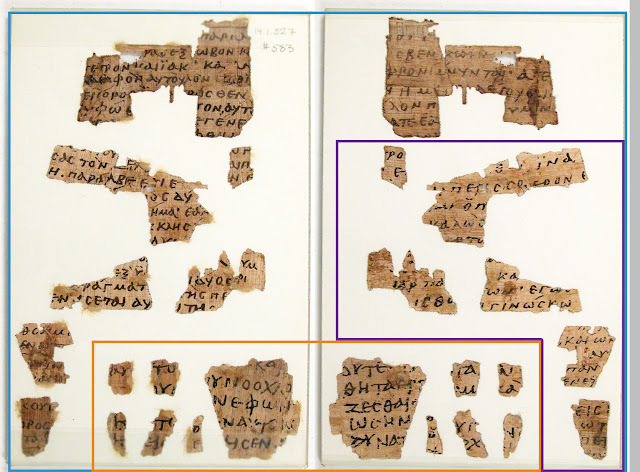 Over on his blog, Dan Wallace has just written a post about his involvement with the fragment formerly known as “First-century Mark.” We now know, thanks in part to this post by Dan, that P. Oxy. 5345 is the fragment formerly known as “first-century Mark” and that it is not, therefore, first-century. Instead, the editors, Dirk Obbink and Daniela Colomo, date it to the 2nd/3rd century (see Elijah’s post). This is important because we have known for quite some time that the first-century date was based on the expertise of Dirk Obbink. Apparently he changed his mind before Dan even made the initial announcement, but Dan didn’t know. So, why was it ever dated first century? I don’t know. In any case, here is the first part of Dan’s post. 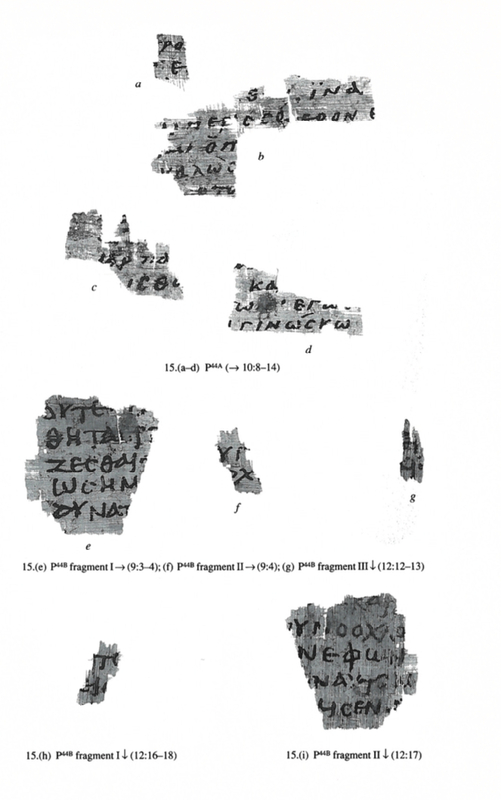 There has been a flurry of announcements and comments on the internet about the “First-Century Mark Fragment” (FCM) ever since Elijah Hixson posted a blog on Evangelical Textual Criticism this morning. As many know, I signed a non-disclosure agreement about this manuscript in 2012 sometime after I made an announcement about it in my third debate with Bart Ehrman at North Carolina, Chapel Hill (February 1, 2012). I was told in the non-disclosure agreement not to speak about when it would be published or whether it even exists. The termination of this agreement would come when it was published. Consequently, I am now free to speak about it. The first thing to mention is that yes, Oxyrhynchus Papyrus 5345, published in The Oxyrhynchus Papyri, vol. 83 (2018), is the same manuscript that I spoke about in the debate and blogged about afterward. In that volume the editors date it to the second or third century. And this now is what has created quite a stir. In my debate with Bart, I mentioned that I had it on good authority that this was definitely a first-century fragment of Mark. A representative for who I understood was the owner of FCM urged me to make the announcement at the debate, which they realized would make this go viral. However, the information I received and was assured to have been vetted was incorrect. It was my fault for being naïve enough to trust that the data I got was unquestionable, as it was presented to me. So, I must first apologize to Bart Ehrman, and to everyone else, for giving misleading information about this discovery. While I am sorry for publicly announcing inaccurate facts, at no time in the public statements (either in the debate or on my blogsite) did I knowingly do this. But I should have been more careful about trusting any sources without my personal verification, a lesson I have since learned. Do read the rest of his post for his personal history with the fragment. 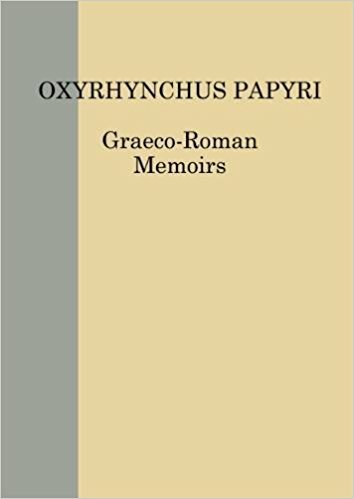 Volume LXXXIII of the Oxyrhynchus Papyri continues our publication of biblical texts, including what is only the second Egyptian witness to the Epistle of Philemon as well as further early witnesses to the text of Mark and Luke, and an amateur copy of excerpts from Ezekiel’s Exagoge. Though it is also exciting for NT textual criticism that we will see fragments of Luke and Philemon, the key thing to notice here is that the description mentions an early fragment of Mark. 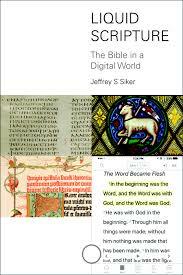 Lastly, it is worth considering an important point enlightened by Siker: “the ready availability of so many translations in digital form results in a certain destabilizing of the biblical text” (5). In each chapter Siker tries to figure out what will become of the Bible online; for example, “The unbound Bible on a screen does not lend itself to an immediate awareness of any particular shape of the Bible, canonical or otherwise. From this perspective skimming the Bible on screens would necessarily seem to undermine understanding the Bible in its canonical frame” (69). This situation could still be strengthened by the audio Bible (171–74). In this “Fast Times and Slow Times” situation (242), a last chapter could have been added on the growing diversification of the Greek editions of the New Testament, with the newest one, the Tyndale House Greek New Testament. The flexibility of the Greek New Testament text itself is surely one of the clearer features of the digital Bible era. One thing I’d like to see is a study that compares people who read the Bible primarily or exclusively digitally and those whose digital reading is used only to supplement their reading of a physical book. Maybe that’s in Siker’s book. But I didn’t catch it in Clivaz’s review. The electronic Bible is here to stay‒‒packaged in software on personal computers, available as apps on tablets and cell phones. Increasingly, students look at glowing screens to consult the Bible in class, and congregants do the same in Bible study and worship. Jeffrey S. Siker asks, what difference does it make to our experience of Scripture if we no longer hold a book in our hands, if we again “scroll” through Scripture? How does the “flow” of electronic Scripture change our perception of the Bible’s authority and significance? Siker discusses the difference made when early Christians adopted the codex rather than the scroll and Gutenberg began the mass production of printed Bibles. He also reviews the latest research on how the reading brain processes digital texts and how churches use digital Bibles, including American Bible Society research and his own surveys of church leaders. Siker asks, does the proliferation of electronic translations reduce the perceived seriousness of Scripture? Does it promote an individualistic response to the Bible? How does the change from a physical Bible affect liturgical practice? His synthesis of the advantages and risks of the digitized Bible merit serious reflection in classrooms and churches alike. Remember our recent discussion about how present technology affects our view of past technology. My sources tell me that John Meade is currently hiding out in the outer banks, camping or some such thing. Lucky for you, he was recently captured on camera talking about all things canon with several faculty from Southeastern. Take a watch. Paolo Trovato is once again putting on his Summer School in Textual Criticism in Ferrara, Italy. The dates are July 2nd–July 7th. I attended a few years ago and can recommend it as a great opportunity. And this year there appears to be an online option. 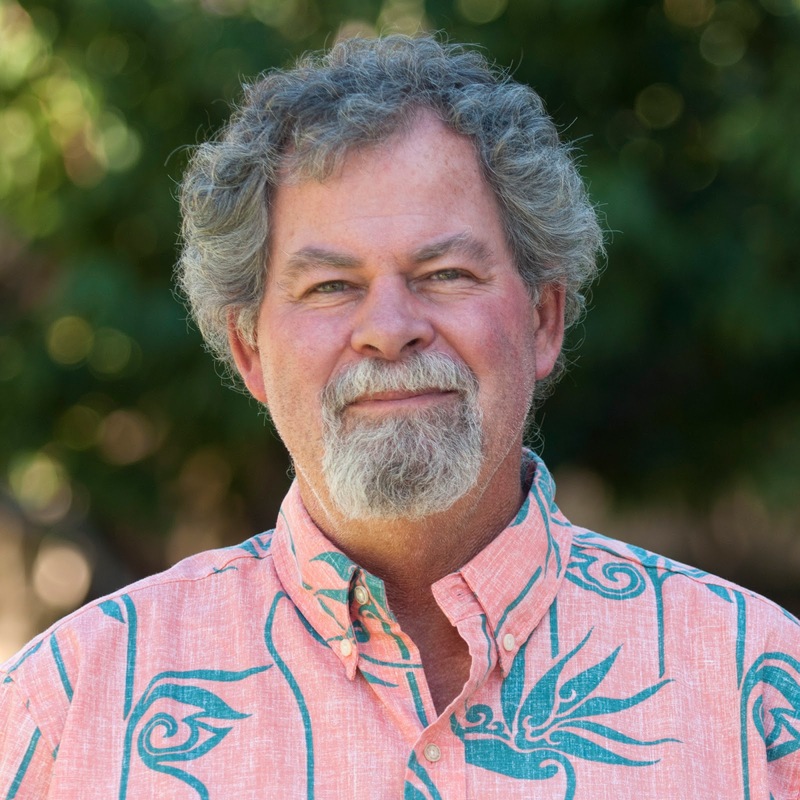 Particularly for those doing Biblical textual criticism, the chance to learn from people working deeply in the textual criticism of other texts can be particularly stimulating. Some of my most helpful conversations during my PhD were had with text critics who didn’t work on the Bible. Their outside perspective can be invaluable. I still try to read beyond Biblical textual criticism to see how scholars in other fields approach similar problems. And did I mention this is in Italy? The Department of Humanities at the University of Ferrara will offer an intensive six-day summer school in Textual Criticism. The course is designed for both graduate and PhD students (max. 20 people) from different disciplines who would like to improve their knowledge in the field of Textual Criticism and discuss their research topics with instructors and colleagues. An introduction to current theories as well as the presentation of individual research subjects will be covered in the first 3 days. The final days will be spent delving more deeply into particular aspects of Textual Criticism, both in modern and classical languages, featuring more recent developments, and discussing individual research. A free guided visit to Ferrara medieval and Renaissance Art Collections is scheduled. Online option. The classroom meetings are live streamed for registered students (unife.adobeconnect.com/textcrit ). They will receive an email with the link and a personalized username and pw to login. Among the programme instructors you will find Dàniel Kiss (Eötvös Loránd University, Budapest), Federico Marchetti (Ferrara), Roberto Rosselli Del Turco (Pisa), Francesco Stella (Siena), Elisabetta Tonello (e.Campus), Luciano Formisano (Bologna) and Paolo Trovato (Ferrara). The enrolment dead-line is on 11th June. If you happen to be in Cambridge for the summer, Cambridge University Library is hosting a series on the Bible in England that looks good. From the rise of mass-produced Vulgates in the thirteenth century to the proliferation of innovative vernacular prints in the sixteenth, five lectures will chart the history of the Bible in England across print and reform. 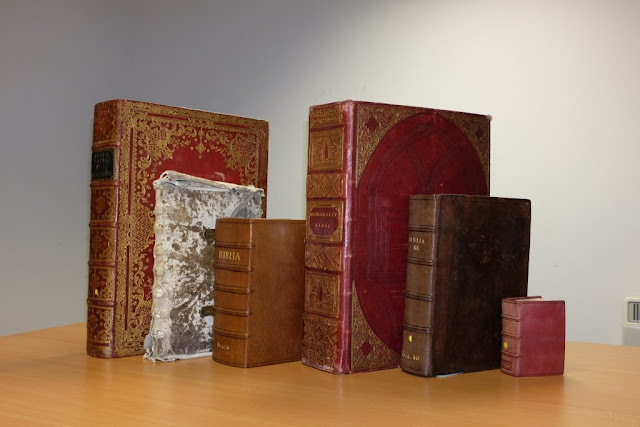 Manuscript and early printed bibles from the collections of Cambridge University Library will support a new history of the Bible in England, one which blurs the boundaries between reform and conservatism, and between the Church and heresy. Among their pages we will encounter a hidden portrait of Jane Seymour, the marks of scholars, children and crooks, and the discovery of America. Each lecture will be accompanied by a display of manuscripts and books from the Library’s collections and will be followed by a discussion led by a respondent. Each lecture will take place at 5:30pm in the Milstein Room at Cambridge University Library. Lectures are free and open to everyone. Where did the Byzantine text come from? In my occasional interactions with Byzantine-text-preferring folks, I have been puzzled by how many of them are unaware of modern research on the Byzantine text and its development. Some of these folks sincerely seem to think that Westcott and Hort’s views of the matter are still what modern textual critics believe. This is not the case. 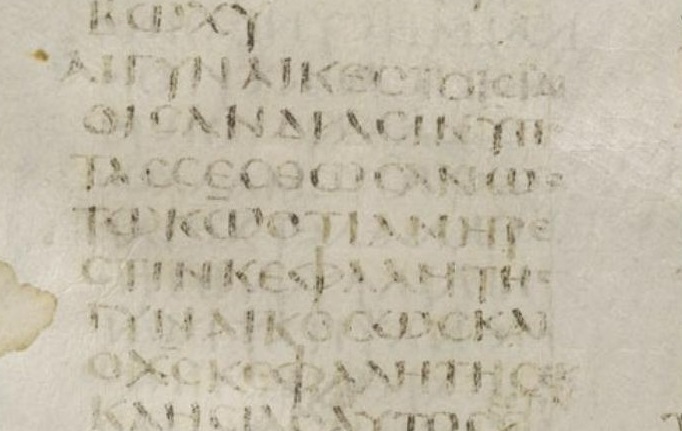 I know of no text critic today who would argue that the Byzantine text as we find it promulgated in the minuscules is the result of a concerted fourth-century recension. So, what do scholars think? 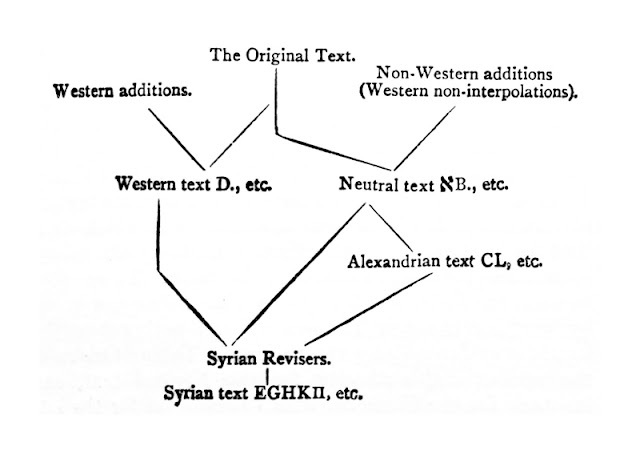 The most serious work on the Byzantine text’s development has been done by Klaus Wachtel, especially in his 1995 dissertation. But few Byzantine advocates seem aware of it, probably because it remains untranslated into English (sadly). Fortunately, a number of Wachtel’s papers from over the years are easily accessible online—and in English. So, I thought I would point out just one of the places where he has explained his view. This is in the hope that those who hold to a Byzantine priority position, a Majority text position, or an Ecclesiastical text position (I realize there are differences in these views) will see that modern eclecticism has developed since 1881 on the question of the Byzantine text. 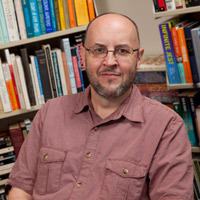 In fact, Wachtel’s animating goal in his dissertation was refuting the view of a fourth-century recension. The term “text-type”, however, still carries along relics of the old division of the New Testament manuscript tradition into three or four “recensions”. If we take the whole evidence into account, a picture emerges that is far more complex. The external criteria applied when variants are assessed have to be re-defined accordingly. To this end we have to focus on individual manuscripts and explore their relationships with other manuscripts. Assigning them to text-types has become obsolete. You may ask, why then I am still referring to the “Byzantine text” myself. I am doing so, because the term aptly denominates the mainstream text form in the Byzantine empire. This mainstream has its headwaters in pre-Byzantine times, in fact in the very first phase of our manuscript tradition, and it underwent a long process of development and standardization. The final phase began with the introduction of the minuscule script in the 9th century and ended up in a largely uniform text characterized by readings attested by the majority of all Greek manuscripts from the 13th - 15th centuries counted by hundreds and thousands. I myself have found this view persuasive at least as far as the Catholic Letters are concerned (though I have tweaked it just slightly). You, of course, may or may not agree with this view, but it is the most detailed and substantiated view of the Byzantine text’s origin on offer. And it is now cited as such in both the major introductions to the field (Metzger-Ehrman’s, and Parker’s). 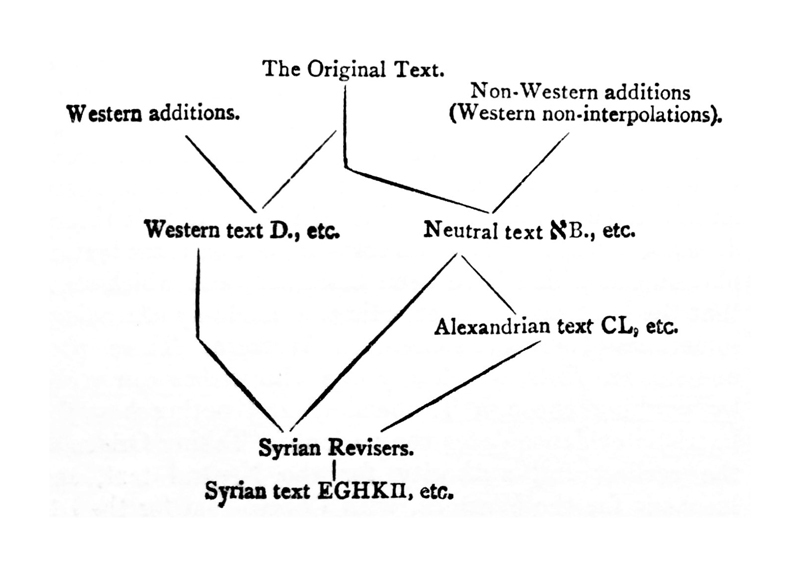 Kirsopp Lake’s diagram of WH’s view of textual history. He rejected this too. No major textual critic, to my knowledge, holds to Westcott and Hort’s fourth-century revision view anymore though it may well linger among those in the wider NT guild. My point here is only to say that Byzantine prioritists (of whatever stripe) need to address Wachtel’s arguments not Westcott and Hort’s. Here ends my public service announcement. 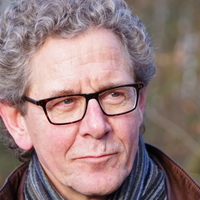 * Klaus Wachtel, “The Byzantine Text of the Gospels: Recension or Process?” paper delivered at SBL in 2009, online here. Yesterday at church, I happened to be reading Eph 5.22 and thinking again about the relationship between Eph 5.21 and Eph 5.22. My NA26, which I had with me at the time, notes the possibility of punctuating v. 21 with v. 22 or separately from it. The NA28 punctuates it with v. 22 and the paragraphing follows suit. One of the reasons for doing this is because v. 22 doesn’t have a main verb but one that is implied from the participle ὑποτασσόμενοι (“being in submission to”) from v. 21. In this, v. 21 is set apart from the other similar participles in 5.16–20 that unpack what it means to “walk worthy” (5.15). However, the apparatus of NA also notes that most manuscripts have an explicit imperative in 5.22 which would make 5.22 line up naturally with the other second person imperatives in the rest of Eph 5.22–6.20 (see 5.25, 6.1, 6.5, 6.10). Each of these starts its own paragraph in NA. There are two alternate readings in 5.22. The first is ὑποτάσσεσθε (“y’all be in submission to”) found in K L 630 Byz syr. The other is ὑποτασσέσθωσαν (“they should be in submission”) found in 01 A I P 0278 6 33 1505 1739 lat syh co etc. What I realized yesterday in thinking about this is that the second reading has a really good claim to originality; in fact, I now think it may have the best claim to that. Not only is it attested early and well, but it can easily explain both the alternate readings while alternatively not being well explained by either. It explains the shorter reading (found only in P46 B Clem Hier) by simple homoioteleuton, the word being omitted because of the repeated ν on ἀνδράσιν just before it. On the other hand, it explains the Byzantine reading which is the obvious way to assimilate this verse to the rest of this section, the other imperatives being 2nd person rather than 3rd person as we have with ὑποτασσέσθωσαν. I think this latter point is also good grounds against preferring the shorter reading; if a scribe were going to add a verb here (as, I readily admit, would be natural), it would most likely have taken the form of the 2nd person imperative to fit with the others. In other words, it would take the form of the dominant Byzantine reading. There is, then, a strong case to be made for ὑποτασσέσθωσαν as the original reading. And, if so, then v. 21 should be read more with what precedes and v. 22, more with what follows. The paragraph break thus belongs after v. 21 not before it. The question I had at church was whether or not anyone else had taken this view. Sure enough, Tregelles prefers ὑποτασσέσθωσαν and he is followed by the editors of the new THGNT. The latter also has a paragraph break at v. 22. [Update: Lachmann has it and WH give ὑποτασσέσθωσαν as a marginal reading.] So, I am at least in good company. Whatever your view, this is certainly not an insignificant decision. Given the debates about vv. 21 and 22, the choice of variant and its effect on where to break the text, affects how you read and apply the text. Let no one say that textual criticism doesn’t influence interpretation and application. The other lesson from this example is: always take your GNT to church! You never know what you’ll discover. In my NA28, P44 is listed as a sixth/seventh-century manuscript containing Matt 17.1–3, 6–7; 18.15–17, 19; 25. 8–10 and Jn 9.3–4; 10.8–14; 12.16–18. It seems then to be a lectionary, which is how LDAB and the Met’s website list it. My co-blogger, Elijah Hixson, however, pointed out to me yesterday that P44 has been split in two since the printing of my NA28 so that it is now P44 and P128. The sections containing Jn 9.3–4; 12.16–18 are P128 and the other sections are now P44. That means that P44 still contains Matt and John materials and still seems to be a lectionary. It’s the remaining bit of John in P44, however, that seems strange to me and I would like to hear from others about it. I pinged another one of my co-bloggers, Pete Malik, on this and all three of us get the impression that text of John that is still listed as part of P44 looks to be from a different hand. My library is limited at the moment and none of my own books gave me any help. So, I’m wondering if any of our readers know more about what’s going on here. In this image, I’ve highlighted P44 in blue, P128 in orange, and the remaining John material of P44 in purple. It’s this last part I’m curious about. P44 (in blue) and P128 (in orange). 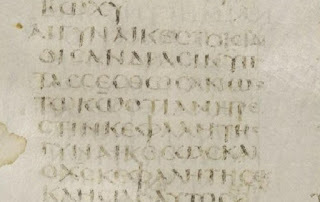 John 10.8–14 is in purple. Update: Brent Nongbri emails this photo from the IGNTP volume of John, showing how they split it into A and B. In this case, their P44B is now P128 and they naturally don’t include the portions of Matt from what they’re calling P44A. But I’d like to know if they say anything more about their P44A and its relation to the rest of P44. Garrick Allen shares news of funding at Dublin City University for PhDs in Biblical Studies (among other things). He says this could certainly include TC. And since you’d be so close to the Chester Beatty papyri, why not? 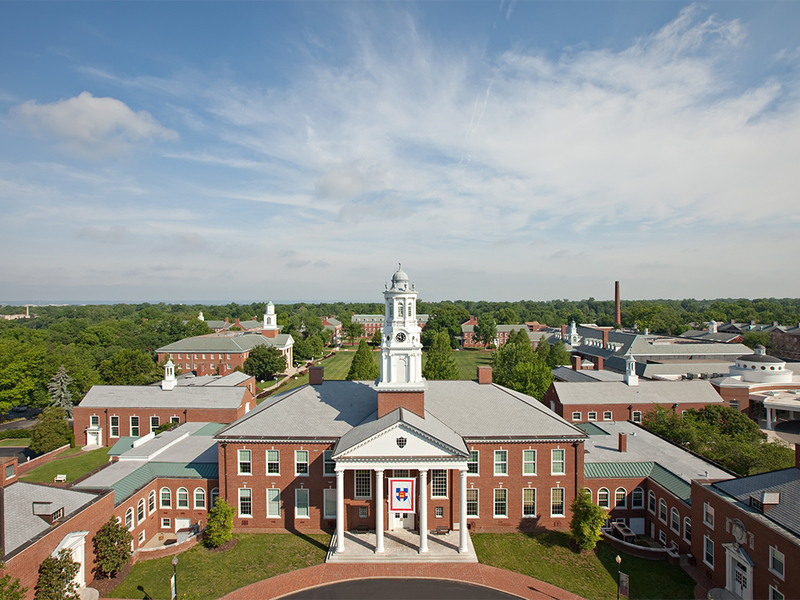 The School of Theology, Philosophy, and Music is a dynamic and creative learning and research environment with a strong commitment to social and cultural engagement, and world-class research. The academic study of religion in DCU takes place within a pluralist, multi-religious, secular, and interdisciplinary context, with internationally-recognised staff who have distinguished records in research and teaching. We place an emphasis on ecumenical perspectives on theological themes and questions, on the study of sacred texts and languages, and on interreligious dialogue, particularly the dialogue between Judaism, Christianity, and Islam. We are offering Doctoral Scholarships in Theology. Applications are welcome in the areas of Biblical Studies, Interreligious Theology, Systematic Theology, and Theological Ethics. Applicants must have an undergraduate degree at first-class honours level or at least 2.1 level in Theology, Religious Studies, or a related discipline, and a Master’s Degree in Theology, Religious Studies, or a related discipline. Candidates who are currently completing a Master’s qualification are welcome to apply. I’ve been thinking more recently about the significance we attach to technological developments. Think, for instance of the shift from scroll to codex or the change from handwritten books to books printed with movable type. Most readers here will be familiar with some of the significance found in these changes. Did the codex form reinforce the canon for instance? Was it a way that early Christians distinguished their sacred from non-sacred writings? Did Christians become more concerned with textual accuracy with the invention of the printing press? Etc. Any given technology changes its meaning when alternatives to it arise: candles began to mean something different when gas lighting appeared; gas lighting began to mean something different when electrical light appeared. Associations form in the public mind with particular times, places, social groups—mental links that would have been impossible to forge without the clarifying power of contrast. This is not to say that technologies have no meaning until alternatives turn up: but the more universal they are, the less likely we are to reflect on them. The comment (I have heard it attributed to Huston Smith) that the only thing the world’s religions have in common is that they all use candles is something that no one would have thought of before the advent of other forms of lighting. Thus when digital technologies of reading and writing arose, soon thereafter people became intensely reflective about what had preceded them: books, paper, pens and pencils. E-readers make the distinctive features, the characteristic conformation, of books stand forth vividly; a world in which everyone types becomes a world in which pens can be fetishized. I think Jacobs is right and the point is important because we may be tempted to see more in the shifts mentioned above than is deserved. In the case of early Christians and their “bookishness,” for example, I would like to know whether or not they thought of this as distinguishing them from other contemporary groups. If not, then might this be something we are reading into the past because of what Jacobs calls a fetishizing of previous technologies? Well, I need to keep thinking about it. But it’s something to be aware of at least.